Their color varies from light brown to tan, except for 2 dark streaks on the shield-like segment behind the head. They prefer infesting the kitchen and bathroom, but will live anywhere that is heated, has food, water and harborage. 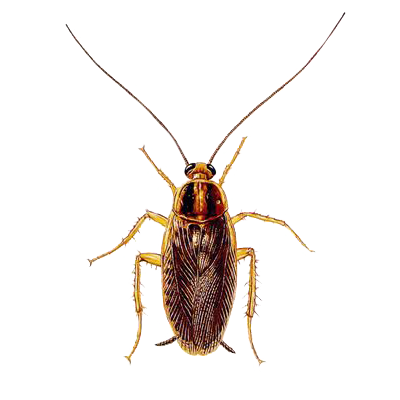 They are active at night.The most common roach in United States homes. Breeds throughout the year. Favors humid atmosphere and an average temperature 70°.